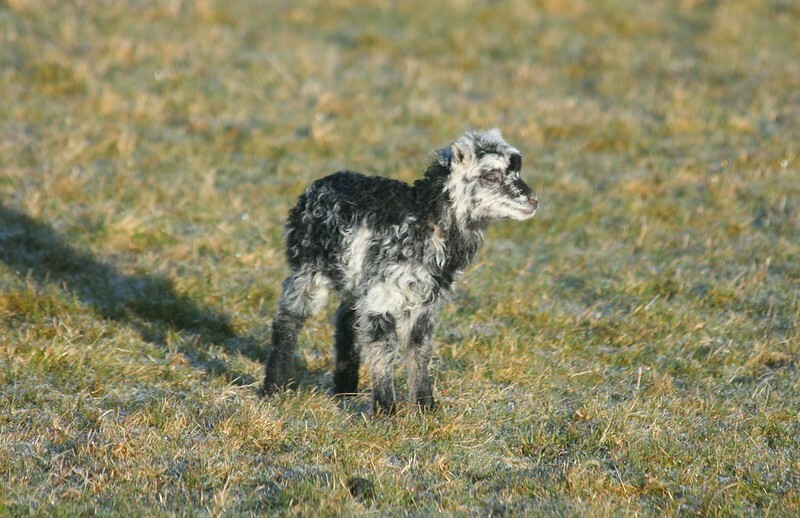 Lyssa gives birth to North Ronaldsay twins! The first lambs of 2018; our 10th anniversary year, were born outside yesterday evening in the warm spring sunshine. Very cute! 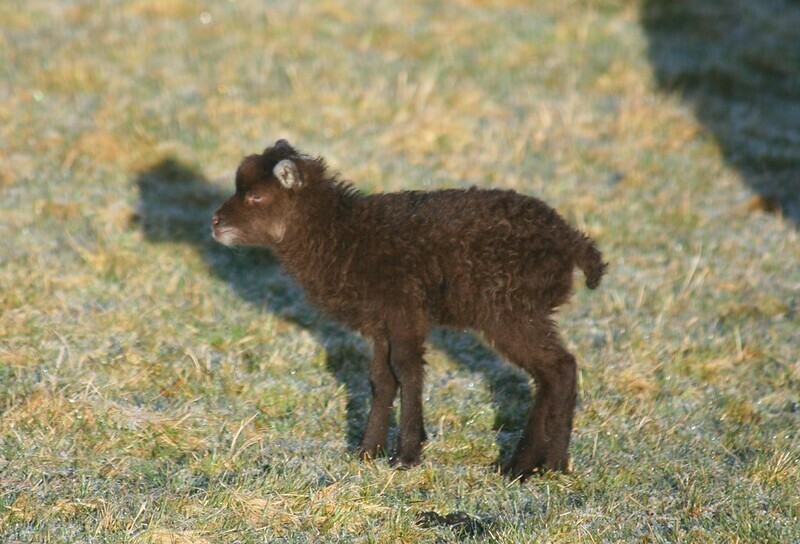 Lyssa, our lovely North Ronaldsay, gave birth to twin lambs yesterday evening, outside, in the soft warm spring sunshine at approximately 6.30pm. We watched quietly through binoculars from a good distance while Lyssa just got on with it. The event was over in about half an hour and the lambs themselves were on their feet and drinking within 10 minutes! 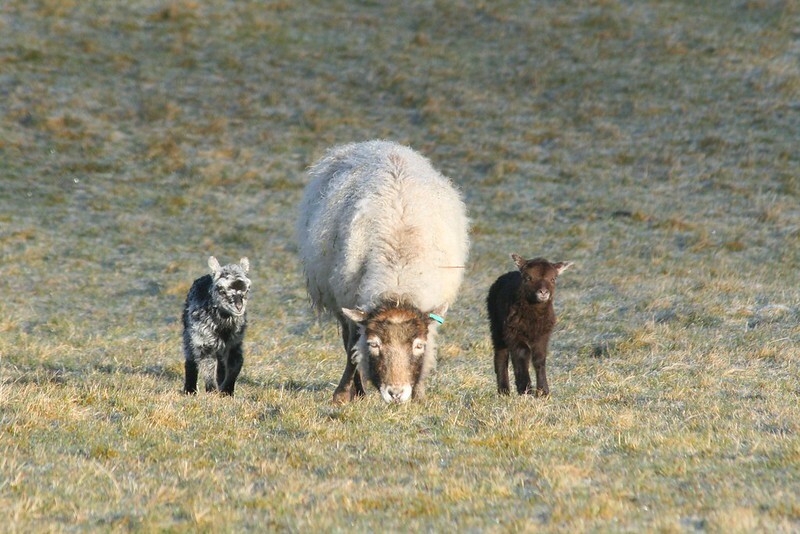 She gave birth to one black lamb and one mottled black and grey lamb. We do not know yet whether they are male or female. Both mother and lambs are doing very well: they've already made their debut appearance in front of the LambWatch webcam in the early hours of this morning (see video above). Here are some photos of the new little family taken this morning in the lovely morning sunshine.... If only it would last through the weekend...! The weather forecast would suggest not! I've just read that Lyssa's second lamb, the speckled one, didn't thrive. I'm sorry. I've just read this post today, May 23, and have seen that little brown one in the field - such a cutie. I hope they are continuing to do well. So very sorry to hear the sad news of little Sally. Sadly, Lyssa's little speckled lamb, who we had named Sally, died this morning. RIP little Sally, at least you are no longer suffering. They are beautiful and look very healthy. They don't appear to resemble Mum, but they are lovely to see. I hope the incoming weather won't be too hard on them. Thanks for the photos! Adorable - hope they are girls and can stay at Marlfield Farm. Love the video of Lyssa and the twins.the twins are absolutely gorgeous.Was the black one the 1st born as she looks to be favouring that one.